Modern centrally located townhouse, with ground floor patio. Only minutes to walk to tennis centre. Free wifi. 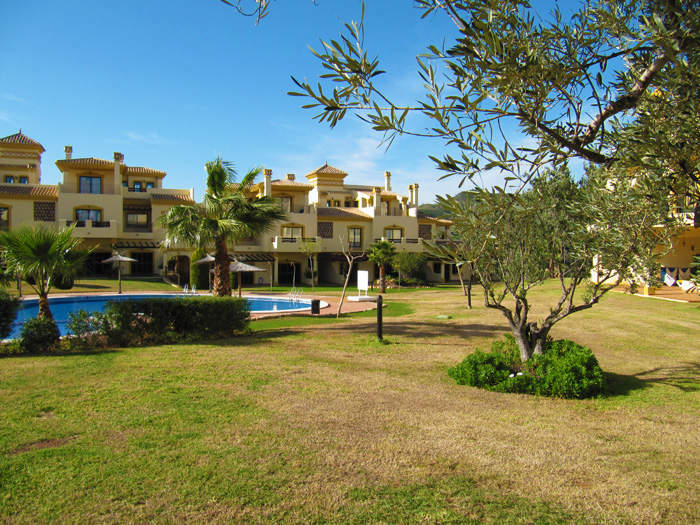 This 2 bedroom townhouse at La Hacienda del Golf is in a fabulous central location at the famous La Manga Club Resort, being close to the tennis centre, the Par 47 pitch & putt course and within easy walking distance of a number of restaurants, shops and the Junior club. A modern property, located about 5 minutes walk away from the Tennis centre and a 5 minutes drive from the Golf Club Houses, it is in an ideal location for all sports players, as well as a 5 minute walk to the Junior Club it couldn’t be any more convenient for families with young children. With 2 bedrooms, a dining area, kitchen, lounge, 2 bathrooms, utility room and plenty of storage, the house accommodates for all needs. There is free wifi internet access. 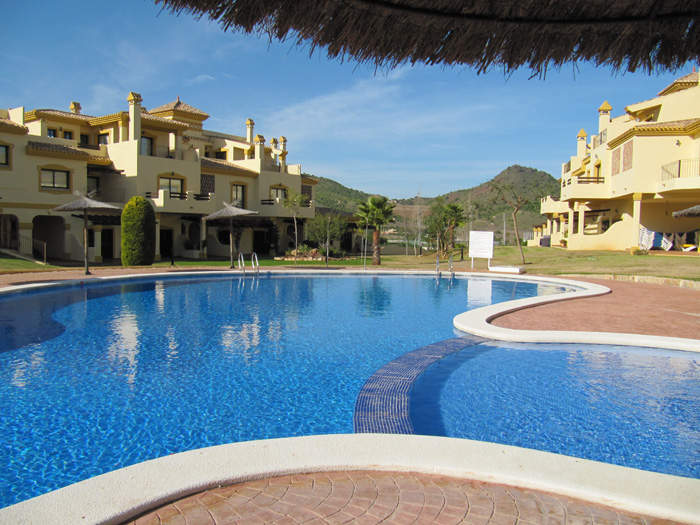 Hacienda del Golf has a large freeform communal pool, with children’s pool section and the gardens are lawned. 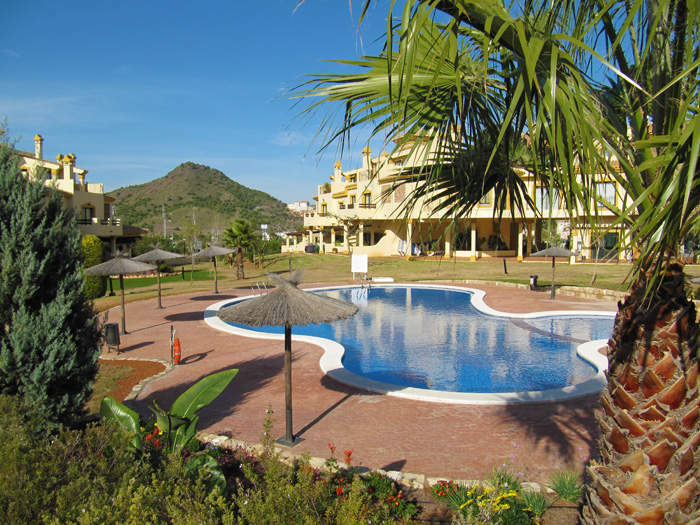 In La Manga Club Resort, townhouse with ground floor patio in a central location, fully air conditioned. Communal pool, private terraces and barbeque facilities. Professionally managed in the resort, the keys to the property can be collected 24 hours a day. Prices include linen & towels, including pool towels and welcome grocery pack. MINIMUM RATE 4 NIGHTS – FOR BOOKINGS OF 5 NIGHTS OR LESS A NIGHTLY RATE APPLIES: LOW SEASON £130.00 PER NIGHT / MID SEASON £165.00 PER NIGHT / HIGH SEASON (MINIMUM 7 NIGHTS IN HIGH SEASON). Saturday to Saturday rentals preferred in July, August and other popular periods, although other stays are considered, please enquire.